Before Hurricane Maria, Puerto Rico suffered for years from a failing economy. Many fled in search of better lives. After the storm, catastrophic damage trapped those who remained, leaving many without food, shelter or hope in Puerto Rico’s future. Aid to the island, which is a commonwealth of the United States, was slow, critics said. 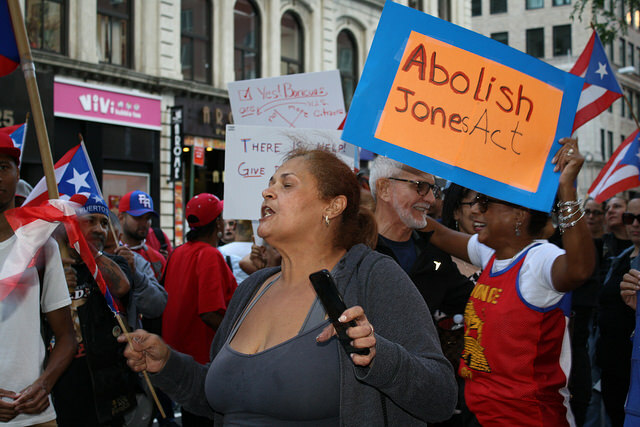 Yesterday, New Yorkers, many of them Puerto Ricans, rallied at the Jacob K. Javits Federal Building to express their frustration. 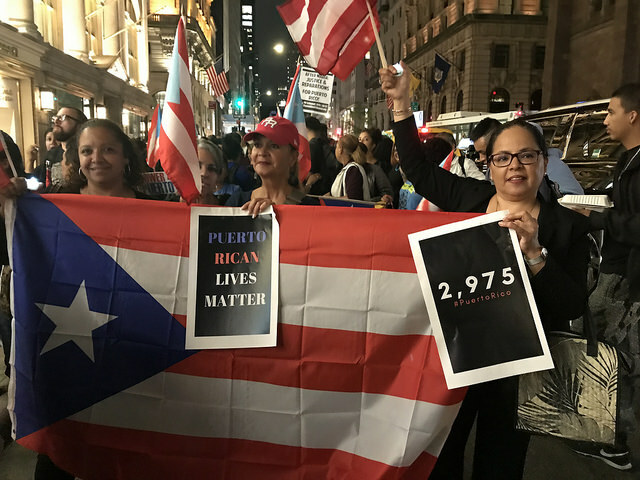 Adorned with signs and Puerto Rican flags, the protesters assembled at the Lower Manhattan building to demand more be done for the people devastated by the storm. One source of stress was the slow suspension of the Jones Act, which requires all supplies being sent to Puerto Rico to be on U.S. ships. Some officials and community members said this slowed down aid. It took the federal government 8 days after the hurricane to suspend it for 10 days. Standing quietly among other chanting protesters was Alex Ortiz, a Bronx resident, who had not come to protest, but to see if he could get ideas on how to get back to Puerto Rico. The Category 4 storm sent the island into a state of emergency, but Puerto Rico had been struggling for years before it hit. Back in May of 2017, in the midst of an 11-year recession, the country filed for a municipal bankruptcy, the largest ever at $70 billion. It defaulted on its already restructured loans without any means to pay the debt. 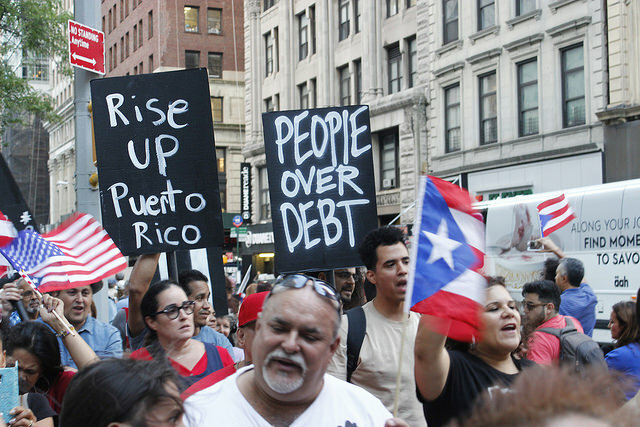 But during his election campaign, President Donald Trump made it clear that he would not bail out Puerto Rico, citing it had “far, far, too much debt.” He doubled down on the stance in April, tweeting about Puerto Rico’s troubled economy. The fractured commonwealth’s economy is estimated to have pay between $30 billion to $95 billion in damages associated with Hurricane Maria. With the Gross Domestic Product of roughly $103 billion combined with a staggering unemployment rate of 11.5 percent, Hurricane Maria marked an important place in the country’s history. If something is not done, residents could flee the island, experts said. Tied to barriers police set up for the event was one large Puerto Rican flag belonging to 43-year-old Brooklyn resident, Jamie Nunez. He stood towards the back of the crowd, eyes covered by large sunglasses. He was holding back tears.